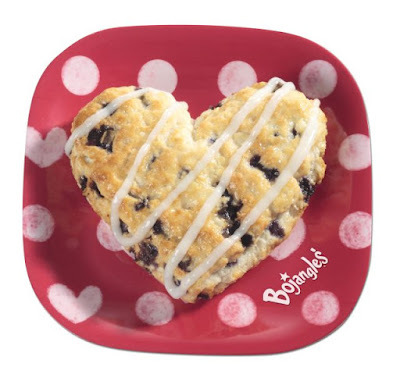 Bojangles' brings back heart-shaped versions of their signature Bo-Berry Biscuits for Valentine's Day. Available at participating locations through February 14, 2016, the Heart-Shaped Bo-Berry Biscuit feature made-from-scratch buttermilk biscuits with "Bo-Berries" (blueberries) baked in, lightly drizzled with vanilla icing. They cost about $1.19 each (may vary). The regular, round-shaped version is available year round.